The ACT is a college entrance exam used by many colleges to rank students applying to their schools. The subject matter covers English Grammar, Reading Comprehension, Math topics, and Science. Millions of students take the test each year and the test prep business rakes in over a billion dollars a year! As a reader of this blog, I am sure you want some of that $$$! Don’t fret if you are not a teacher. I will give you resources to gain the skills and they cost $0. I believe in VALUE and this post will give you exactly what you need! I am no genius, far from it. But I understood a need and decided to work towards being able to fill that need and put money in my bank account at the same time. That is what being an ACT tutor did for me. It gave me freedom and options. 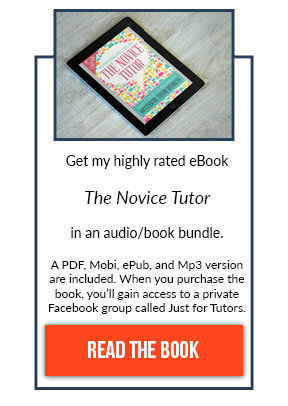 This post and my EBook gives you the knowledge and understanding to start your own ACT tutoring business and begin to earn money (money that can change your life). I will get into specifics as to how my plan formulated and was implemented. It’s easy to follow, and before you know it, you’re almost certain to gain clients and income. A few years ago I was struggling to make ends meet and had my 1st child on the way. After a dinner where I met a couple who tutored and were earning great money I decided to try it out. I began to hustle, learned all the material and reached out to everyone I knew! I gained my first client the first month, tutoring a middle school student in reading comprehension. I had made business cards and was handing them out to everyone, though I branded myself as an ACT tutor, I found people calling me for other subjects. I was netting $200 a month already. Within the next three months, I gained another six clients and averaged an hourly fee of $90. I had a few weeks where I was tutoring two students at once (a brother and sister) and earning $200 for the hour! Within six months I had raised my monthly income to over $2,000 and could barely keep up. I even took on a partner to handle the overflow. I was making money with students I wasn’t even tutoring! Today I have a network of clients and referrals that keeps me busy and earning anywhere between $3,000-$4,000 a month. Let me be clear again, I am no smarter that you or anyone else. I just followed certain steps and worked my tail off. Step 1: So why the ACT? College entrance exams command the most money per session- Normal charges range from $75-$125. The test won’t go away- I know stories are circulating about colleges accepting student applications without SAT or ACT scores, however the number of colleges doing this is minuscule. The test is here to stay and millions of kids take it. As per the college board website, 1.92 million students took the test in 2015. That is up from previous years. The clients are out there! The test is offered year-round – The ACT is offered six times a year. There is really no down time, unlike subject-specific tutors who may only work with a student before tests or on specific topics. You have a steady stream of income year round! Step 2: Develop the skill set! Get to the library – use the free resources at your local library regarding the ACT. Take a practice test – see what areas you need help in and what you already know. Find online resources – there is an abundance of materials on the internet. *In my EBOOK I go into SPECIFIC DETAILS for each step and provide a ton of free resources! Press HERE to start earning! Location– Can your prospective clients pay high-end prices or do you have to cut rates? Demand– How many high schools are in your immediate area? Feel– Are the people you are talking with willing to pay for your service? Text and email everyone you know– Literally everyone. Let them know of the service you are offering. I have found this the best way to gain clients. Make Business Cards- Look legitimate. Plenty of cheap options online. Offer a free seminar- Call your local library, schools and recreation centers. Plenty of prospective clients would want free information. Follow these steps and work the plan. 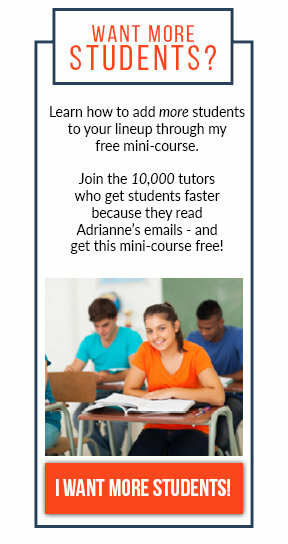 I can guarantee you that people will start calling you and asking for tutoring services. The plan is simple. However, it takes HUSTLE and WORK ETHIC! Good luck and I hope you start raking in the cash!